This garden pasta salad is easy to make and comes together quickly. 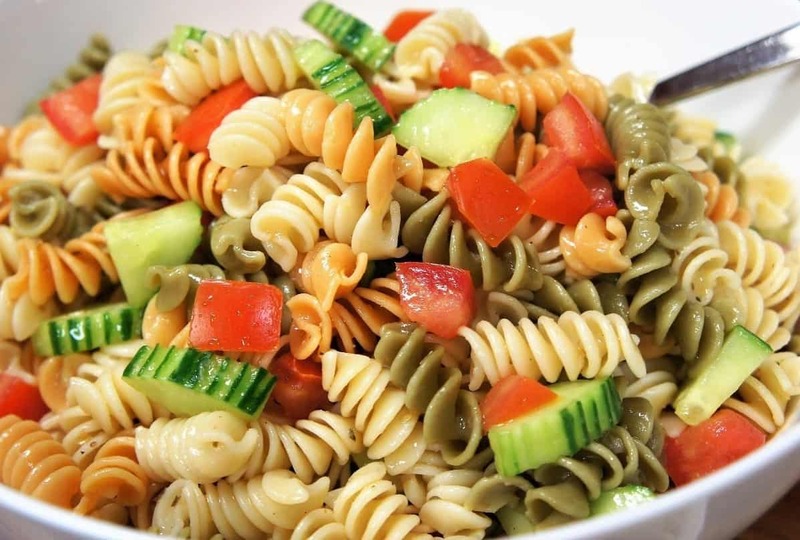 It’s a cold pasta salad that’s made with rotini, tomatoes, cucumbers and a light homemade oil and vinegar dressing. This pasta salad is the perfect side dish for summer. 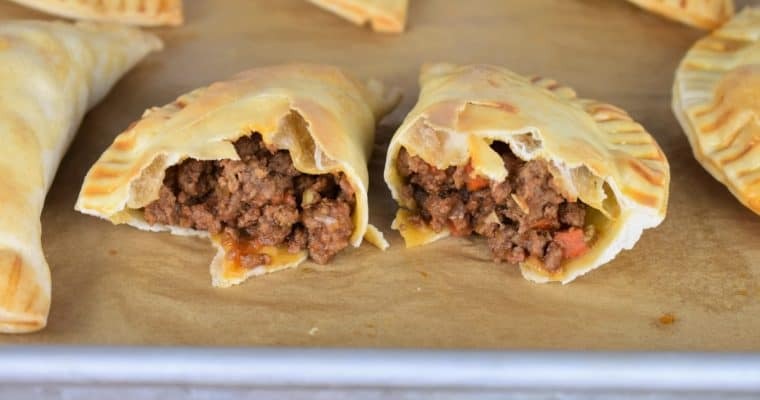 Make it ahead of time and refrigerate until ready to serve at your next party or BBQ. If you need more great pasta salad ideas, check out this tortellini Italian salad or this simple Italian pasta salad. Enjoy! Cook the tricolor rotini pasta to package directions, remember to salt the water. When the pasta is done, drain and allow it to cool. Cut the cucumber and the tomatoes into bite sized pieces. Refrigerate until ready to use. In a small jar, or a container with a tight fitting lid, add the extra virgin olive oil, red wine vinegar, grated garlic, dried oregano salt and black pepper. Cover the container and shake vigorously to mix. In a large bowl combine the pasta, tomatoes, cucumbers, and the dressing. Toss the pasta salad gently to combine the ingredients well. Try the garden pasta salad, and add salt to taste, only if needed. Refrigerate the garden pasta salad until ready to serve. If you’re using a hothouse (or English) cucumber, peeling and seeding is not necessary. If using a garden cucumber, then you may want to remove most, or all of the peel. Also, slice the cucumber in half and gently remove the seeds with a spoon. Here, we use a hothouse cucumber so we left the peel mostly intact; we added a little interest by scoring it with a lemon zester (a fork, will work too). This garden pasta salad is easy to make and comes together quickly. 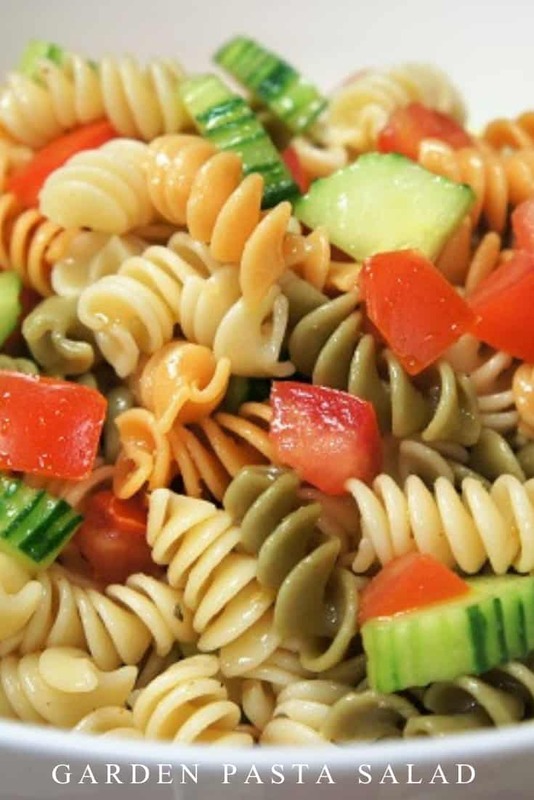 It's a cold pasta salad that's made with rotini, tomatoes, cucumbers and a light homemade oil and vinegar dressing. Cook the tricolor rotini pasta to package directions for al-dente, remember to salt the water. When the pasta is done, drain and allow it to cool. 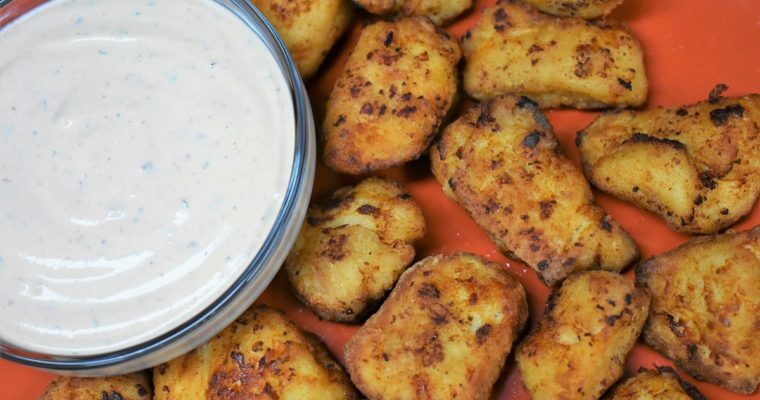 Make the dressing - In a small jar, or a container with a tight fitting lid, add the extra virgin olive oil, red wine vinegar, grated garlic, dried oregano salt and black pepper. Cover the container and shake vigorously to mix. 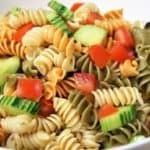 Make the garden pasta salad - In a large bowl combine the pasta, tomatoes, cucumbers, and the dressing. Toss the pasta salad gently to combine the ingredients well. Try the garden pasta salad, and add salt to taste, only if needed. Refrigerate the pasta salad until ready to serve. If you’re using a hothouse (or English) cucumber, peeling and seeding is not necessary. If using a garden cucumber, then you may want to remove most, or all of the peel. Also, slice the cucumber in half and gently remove the seeds with a spoon. Here, we use a hothouse cucumber so we left the peel mostly intact; we added a little interest by scoring it with a lemon zester (a fork, will work too).